PHS Community Care Foundation announced it has donated 50 Head Lice Treatment Kits to children and families of Freedom Christian School in the Dominican Republic. The mission of the foundation, a non-profit arm of Pediatric Hair Solutions, is to provide safe and effective head lice treatment to financially challenged children and their families. The donated lice treatment kits were delivered by students and staff from Carmel Christian School in Charlotte, North Carolina, who spent a week with students and staff at Freedom Christian School. 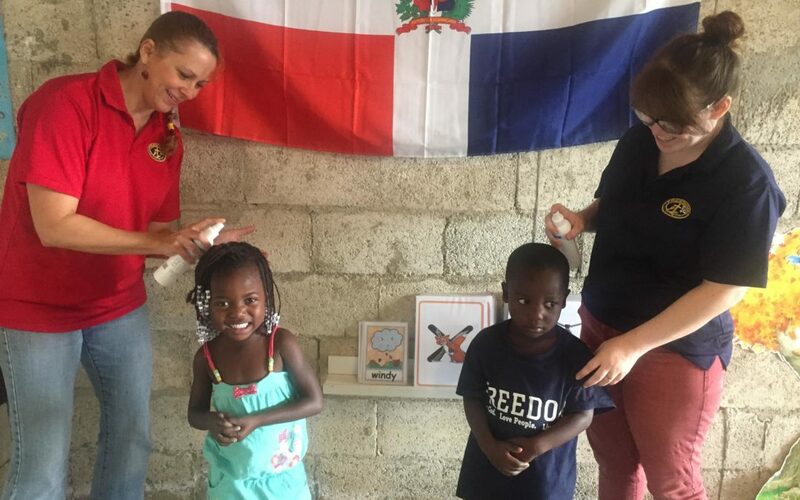 Prior to traveling to the Dominican Republic, volunteers at Carmel Christian School received a list of supplies that were needed at Freedom Christian School, which included lice treatment kits. The Home Treatment Kit developed at Pediatric Hair Solutions is non-toxic, safe for all ages, and extremely effective at eradicating head lice. A recent study shows head lice have developed resistance to the most common over the counter, chemical treatments. Families using over the counter and prescription treatments often battle lice for weeks, sometimes months, and still have active cases of head lice.